Hotel Galles, located in the centre of Milan on Corso Buenos Aires, proposes a double offer to make you celebrate Christmas with your company and colleagues. 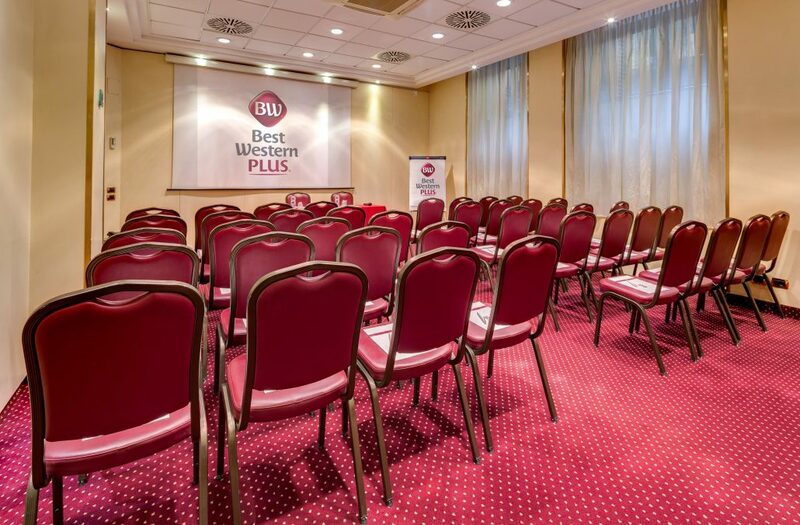 If you need to organize events or meetings in Milan during Winter, Hotel Galles offers you a special promo. From December 1st to January 31st 2018 we will give you a 20% discount on the rental of any of our meeting rooms or, if you book at least 10 rooms, you can use the meeting room for free. Furthermore, if you wish to celebrate Christmas with your colleagues or organize a Christmas dinner for your company, our Restaurant La Terrazza proposes different menus. You can choose a light aperitif with hot and cold snacks or an elegant dinner including starters, main dishes and desserts. According to your needs and requests, our menus are able to satisfy also people with food allergies or special needs.